Hope everyone is relaxed from the summer and ready to get back to business. 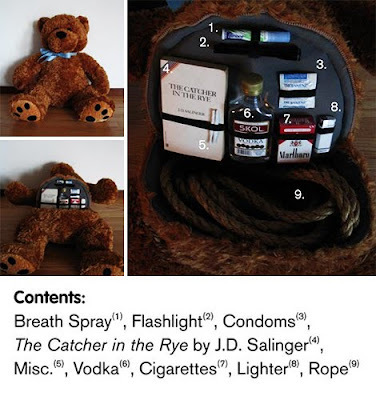 If not, maybe this contraband bear would help. I agree to the vodka and cigarettes ... but why is that flashlight there :) ? or the book.... and where are the rolling papers?